Halloween Books – New and Old | What is ML Reading? I love Halloween picture books. Most aren’t very scary. Instead, they’re funny scary. Below are my favorites published this year; and my all-time favorite. 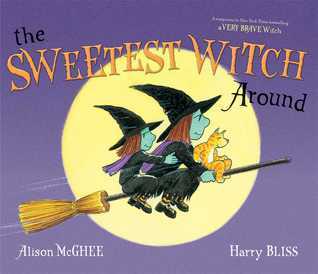 The Sweetest Witch Around by Alison McGhee and illustrated by Harry Bliss – “On Halloween, a little witch and her baby sister study humans and their mysterious ways.” Notice the Easy-Bake Cauldron and the Graveyard Barbie in the illustrations. Other funny details are interspersed throughout the book. 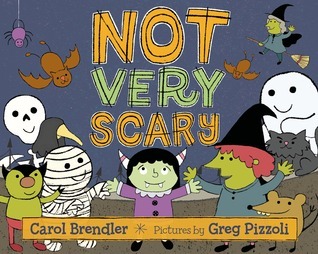 Not Very Scary by Carol Brendler and illustrated by Greg Pizzoli – “On Halloween, Melly is invited to Cousin Malberta’s home for a surprise, but as she walks there on a beautifully spooky evening, she is followed by increasing numbers of creatures that may actually be frightening.” They aren’t very frightening. Notice the smiling skeleton, ghost, mummy, monster and more on the cover. 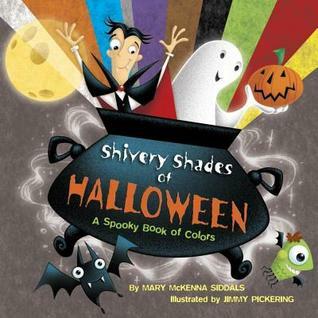 Shivery Shades of Halloween: A Spooky Book of Colors by Mary McKenna Siddals and illustrated by Jimmy Pickering – “Introduces colors to young readers, in spooky scenes with rhyming text featuring a little monster on a Halloween adventure.” A unique book featuring a subject I’m asked for often… colors. When Halloween is over, I’ll still recommend this book to those looking for books about colors. 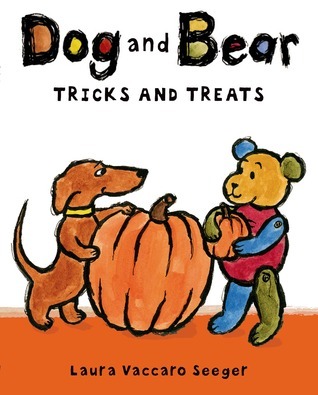 Dog and Bear: Tricks and Treats by Laura Vaccaro Seeger – This book is comprised of three hilarious Halloween themed stories. Each story includes a funny twist. 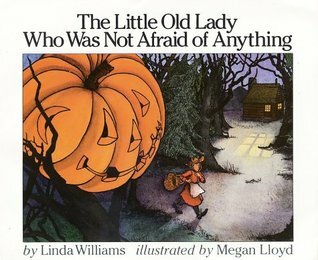 The Little Old Lady Who Was Not Afraid of Anything by Linda Williams and illustrated by Megan Lloyd – “A little old lady who is not afraid of anything must deal with a pumpkin head, tall black hat and other spooky objects that follow her through the dark woods trying to scare her.” This is a classic. I read it at every story time the week of Halloween. Preschoolers clomp, wiggle, nod, and clap along. This entry was posted in Picture Book and tagged Alison McGhee, Carol Brendler, Dog and Bear: Tricks and Treats, Greg Pizzoli, Harry Bliss, Jimmy Pickering, Laura Vaccaro Seeger, Linda Williams, Mary McKenna Siddals, Megan Lloyd, Not Very Scary, Shivery Shades of Halloween, The Little Old Lady Who Was Not Afraid of Anything, The Sweetest Witch Around by mlreads. Bookmark the permalink. So frightfully kind of you to include my SHIVERY SHADES OF HALLOWEEN in this SPOOKtacular little roundup! Many FANGkS… and Happy Halloween!